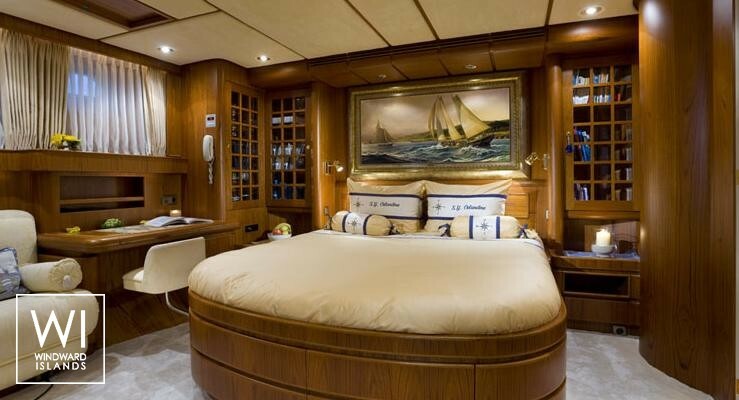 This Ketch's interior is light and spacious. 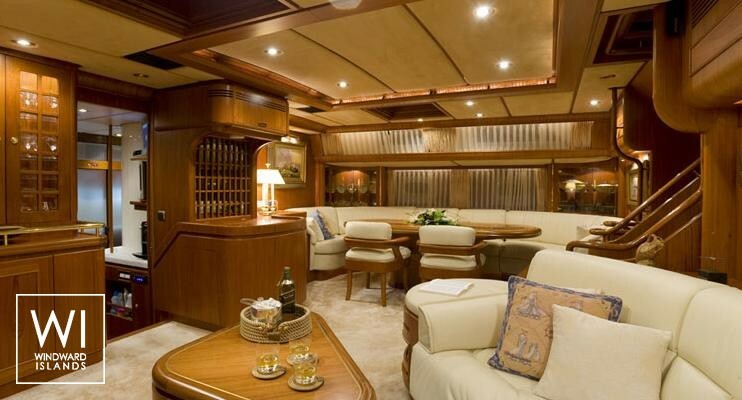 Luminous and comfortable main saloon with dining area to port,lounge to starboard and a wetbar with refrigerator. 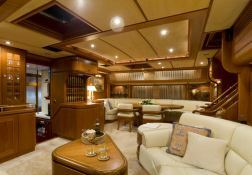 Large U-shaped and well equiped galley port aft of main saloon. 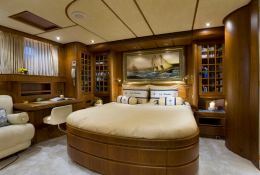 Navigation station to starboard with wet locker at bottom of companionway and lower helm station. 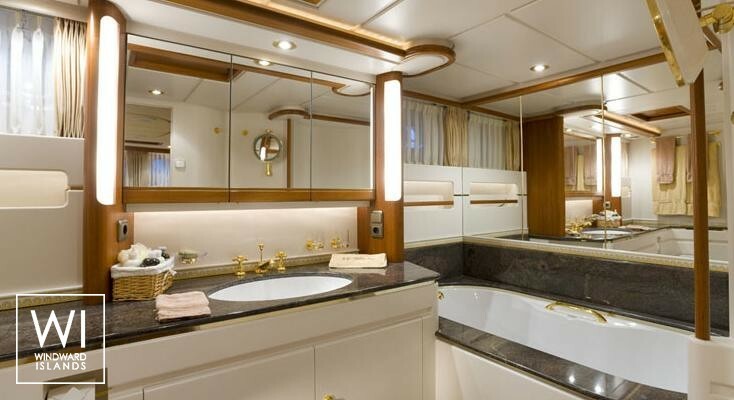 On lower deck forward is the full beam owner’s stateroom with a double king size berth plus single upper,generous locker space and private head and shower. 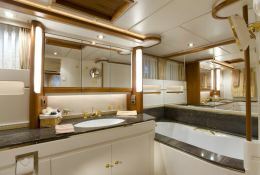 Aft of this cabin are two guest staterooms each with a double king size berth, again generous locker space and their own head and shower. 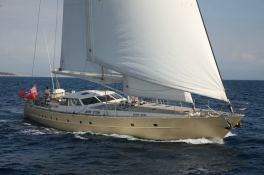 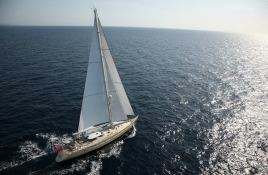 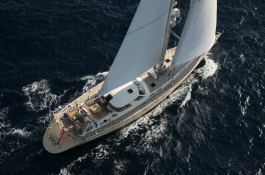 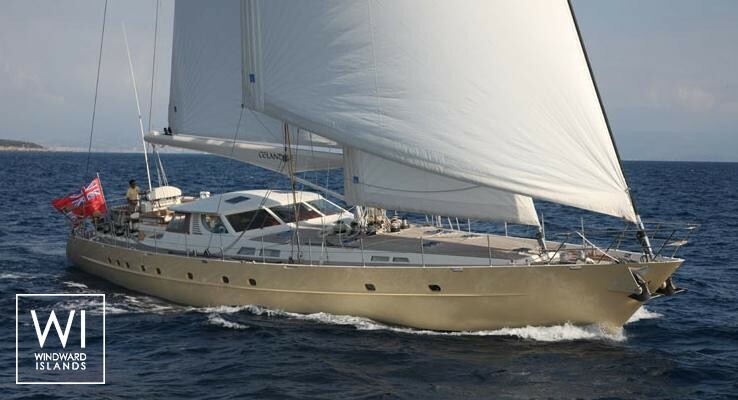 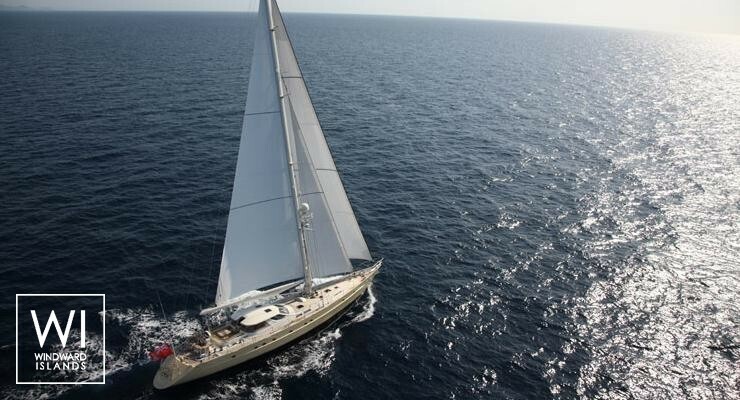 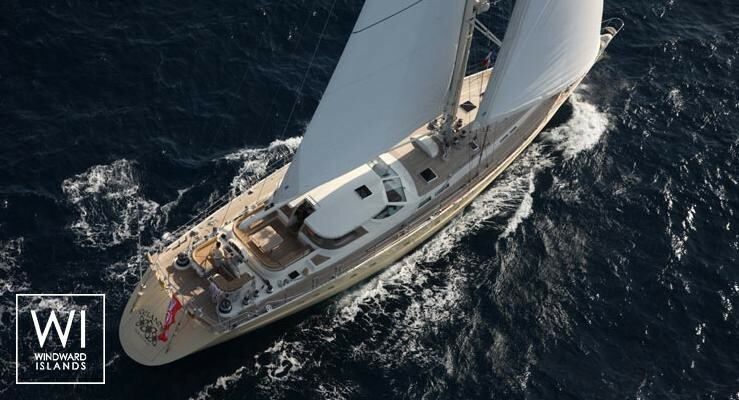 This crewed sailing yacht is available for yacht charter with a base price of 14 000 € (approximatly 15 789 $).